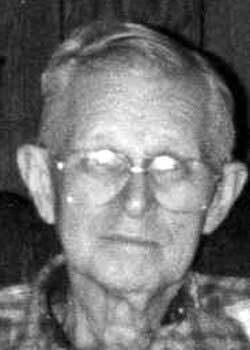 Ned Owens Sayles, 89, of Kenosha, passed away on Wednesday, July 14, 2010, at Manor Care, Kenosha. Ned was born in Fox Lake, Ill., on April 20, 1921, the son of Ernest and Marion (nee: Cornue) Sayles. He attended Fox Lake Schools, moving to Kenosha 66 years ago. On April 14, 1945, Ned was united in marriage to Edith Sturino at Holy Rosary Church in Kenosha. Ned was an electrician for 32 years, working for Nash Automobile, later known as American Motors/Chrysler, retiring in 1974. He loved fishing, and would plan vacations around, where and when the fish were biting. Being an electrician he could always be found doing electrical repairs. Ned is survived by his loving wife, of 65 years, Edith; daughter, Carol Kriofsky of Racine; son, Donald Sayles of Kenosha; grandsons, Steve Haukedahl of Burlington, Bart Haukedahl of Perrysburg, Ohio, Richard Kriofsky of Kenosha, and Josh Sayles of Sun Prairie; granddaughters, Deborah Mack of Racine, Rene Shingara and Shelly Diel both of Kenosha; He is further survived by one brother, Bill (Bridget) Sayles, one sister, Jane Homan all of Fox Lake, Ill.; sisters-in-law, Gloria Sturino and Audrey Sturino both of Kenosha. He is also survived by many great grandchildren and great great grandchildren, other relatives and many dear friends. Ned was preceded in death by his parents, daughter, Delores; granddaughter, Tina; great granddaughter, Amber, and four brothers, Bob, Kenny, Frank and Erwin. Funeral services for Ned will be held at Sturino Funeral Home on Saturday, July 17, 2010, at 4 p.m. There will be a visitation at the funeral home on Saturday from 2 p.m. until service time at 4 p.m.
Ned's family would like to extend a very special thank you to the entire staff at Manor Care for their care and compassion.